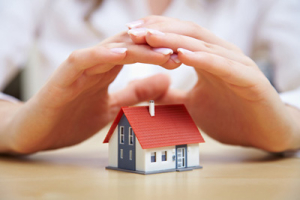 Cheap homeowners insurance is something everyone wants. 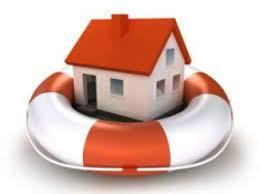 There are many insurance companies that will offer very cheap homeowners insurance to the right customers. Possibly the biggest variable effecting the cost of premiums is whether or not you have already made a claim on your homeowners insurance policy in the past few years. Some people may think this is an unfair calculation as you may have been unlucky enough to have your home broken into and had to claim on the house contents insurance through no fault of your own. Similarly your home may have been subjected to an unforeseen flood or fire that was not your fault, and you could not have made any provisions against it. To a certain extent this may be true, however there are steps you can take to minimise the risk and consequently improve your chances of getting cheap homeowners insurance in the future by being claim free. The most obvious precaution you can take is to make sure your home is secure at all times. Ensure doors, windows and any other entrance or openings are locked whether you are in the home or not, but especially when there is no one at home. Do not be fooled into thinking that just because you have popped to the shops for five minutes in the middle of the day, you do not need to close your windows and lock your doors. Thieves are opportunist and it is a sad fact that many burglaries occur in the daytime as well as in the night. You may be planning a holiday or break and be leaving your home unattended for a few days or even weeks. Do not brag or mention your holiday plans to strangers or even people you do not consider being close friends. Knowing a house is going to be unoccupied is a clear invitation to any burglars. When you are on holiday always make sure you have someone you completely trust to check your home, draw curtains, and turn on and off lights to give anyone watching the property the impression there are still people at home. Every home should have fire alarms fitted and fire extinguishers within easy reach. Should you be unlucky enough to have a fire break out in your home then it is important to have an early warning from the fire alarms, not only to protect your home and its contents, but primarily to save you and your family’s lives. To minimize fire damage and hopefully negate the need to claim on your homeowners policy having a fire extinguisher nearby to quickly put out a fire is also a vital aspect to keeping your home safe. If you know your home is in an area that has a history of flooding then you should have an adequate supply of sandbags available to stop or at least stem the flood. A good water pump is also an essential tool you should have to minimize the water damage. The above are some very basic steps anyone can incorporate to keep their home safe from flood, fire and robbery. These steps are not exhaustive and people should check their local government guidelines on the best and most complete ways of keeping their homes safe.